At Berman Nissan of Chicago we want to make sure that your vehicle is always taken care of. No need to struggle with washing your car on your own, just drive down to our service center located at 3450 N. Kedzie Ave and we will take care of the rest! 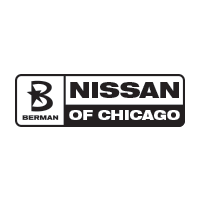 Berman Nissan of Chicago’s car wash service is recognized throughout our community for our professionalism, attention to detail, and very competitive prices. While you wait, step into our state-of-the-art customer waiting area, complete with amenities that help you to get down to business or unwind, like private workstations, multiple HD TVs, charging stations, complimentary premium coffee and bottled water, and free WiFi! ^Only for a basic wash. *Plus tax and supplies fee.